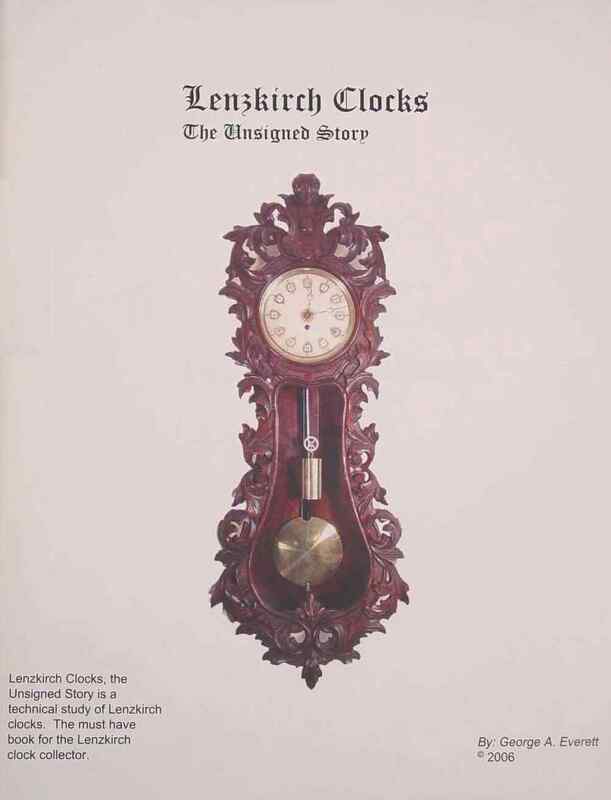 My book Lenzkirch Clocks, the Unsigned Story is available! Quantities are limited. "I got your book today and I am very impressed. I believe the evidence presented makes your case. And I own more Lenzkirch clocks now than I did before I got your book. Your book is an outstanding contribution to the world of horology and horology publishing. Well done!" This is Lenzkirch Clocks Central on the Internet. You can find out anything Lenzkirch here. If you do not see what you are looking for, send me an email and we will find it for you. Between myself and my friends we have gathered thousands of pages of data and pictures of Lenzkirch clocks. Click the Contact link below. You will find only the finest quality clock ever made on this web site. If you want a cheap clock that does not run there is an unlimited number of auctions available.